Like many organizations, we have improved our systems by adopting Continuous Delivery practices. Continuous Delivery isn’t a new concept. But it does take time for organizations to embrace all of the principles and to achieve its full potential. One of the core principles of Continuous Delivery is “work in small batches”. Engineering teams that focus on small batch delivery can achieve higher quality and better efficiency. 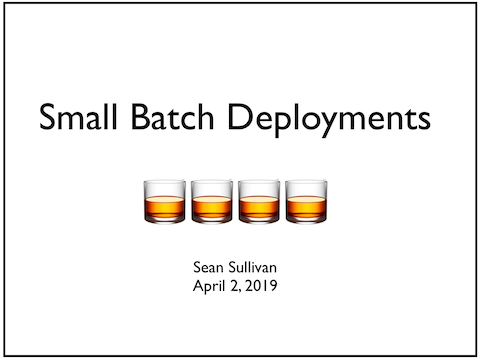 HBC is not the only organization that practices small batch deployments. This approach has proven successful at Facebook, Instagram, Flickr, Etsy, Starbucks, and Flow Commerce. The practice of “small batch deployments” has proven successful at HBC. Our engineering teams have been able to deliver higher quality systems with less risk to the business. This approach benefits both our engineers and our business stakeholders.